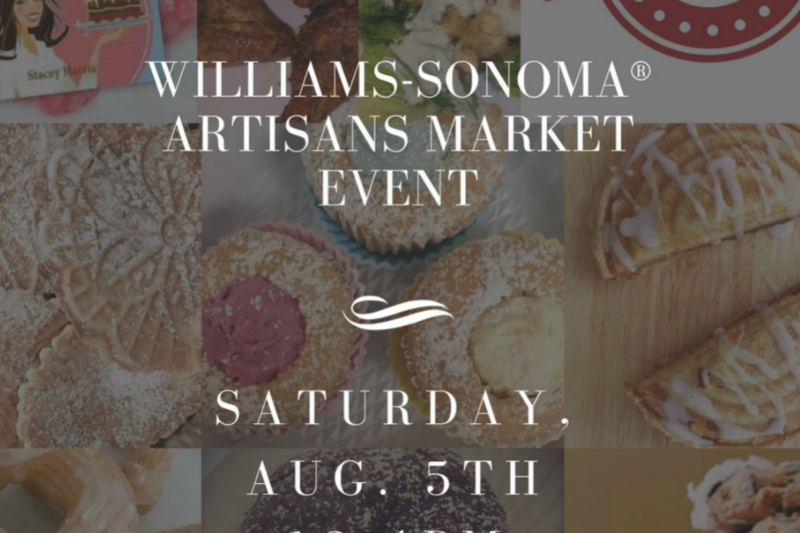 Next: Williams-Sonoma® Artisans Market Events in Pittsburgh! 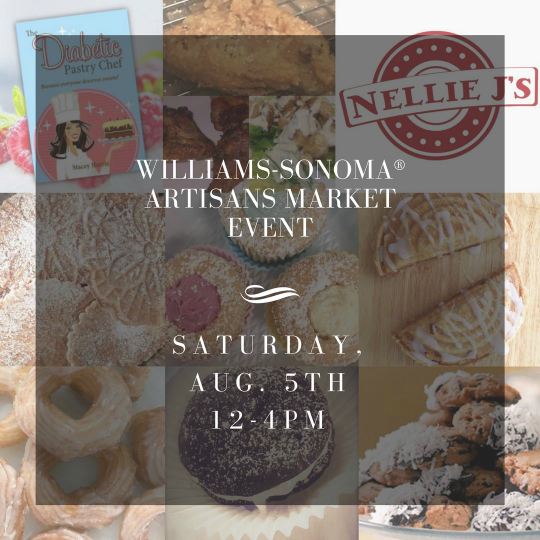 My daughter and I will be featured artisan vendors at the Artisans Market event at our local Williams-Sonoma® store next month. We’re featuring delicious handmade treats—savory and sweet—from our product lines, The Diabetic Pastry Chef™ and Nellie J’s™! 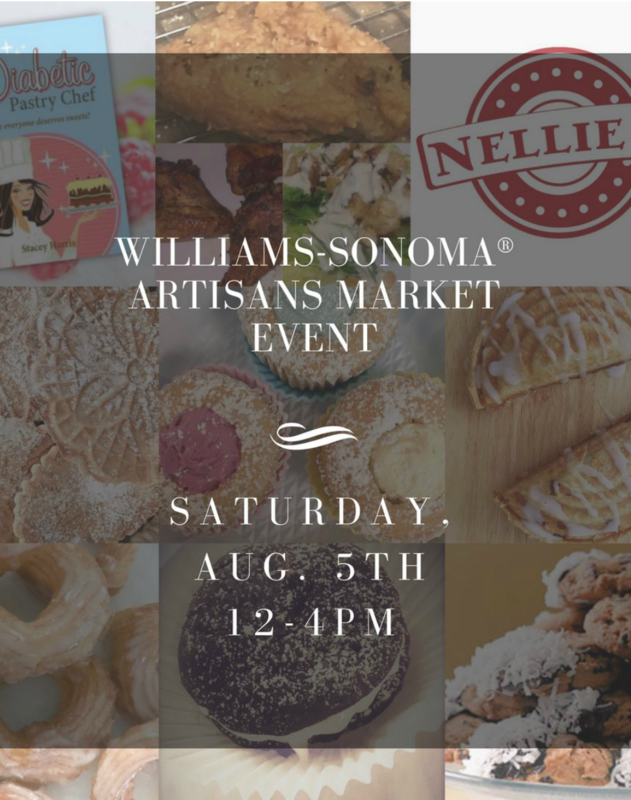 Join us at Williams-Sonoma Mt. Lebanon in Pittsburgh on Sat., Aug. 5th from noon to 4pm. Selections from our shops will be available for tasting and purchase. See you there!